Another week another mani! I loove this colour so much, it's like a perfect vampy red. I actually bought this after using the slightly more pink Barry M shade 'raspberry' that my friend had in her nail polish collection, and while I kinda wish I bought raspberry this is still pretty gorge. One coat I would say is red and then if you use two you get the true dark 'wine' red. 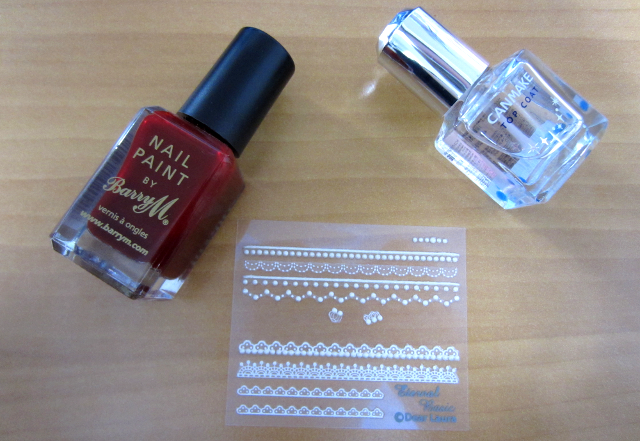 I added some of these lacy nail stickers I've been loving too and it gives a kind of Christmassy effect no? I will deffo be sporting this nail colour a lot during the winter season! 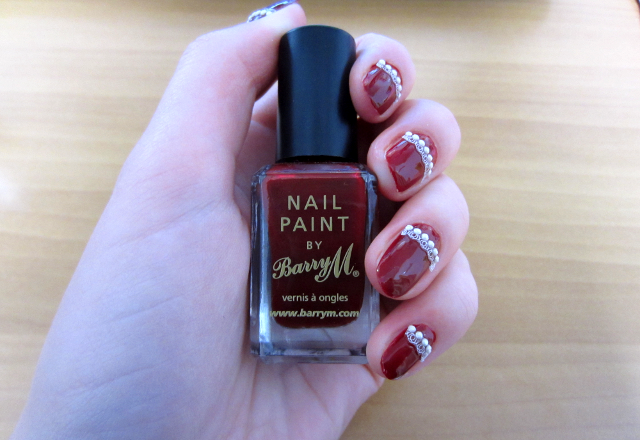 I have this nail colour to, love barry M polishes. The design is really pretty! ah I have to get my hands on some of these stickers! That color is beautiful. I really want to paint my nails this color for the holidays! Wow these are so elegant! I love the lace stickers! 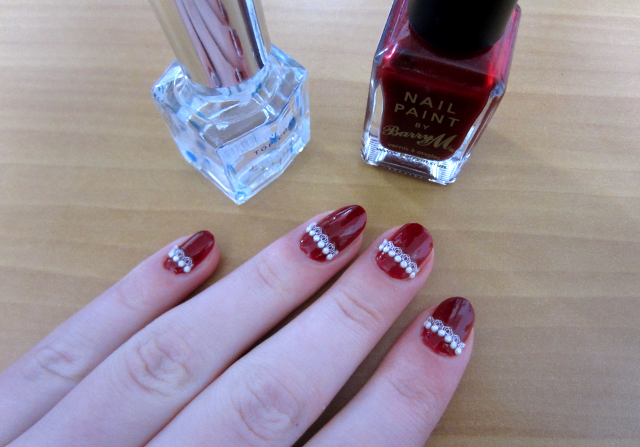 I love nails art, but i don't have patience and i can't do!!! Omg your vintagey laced nail art is beyond gorgeous!! I love this Georgie! Fantastic look, girl. Love the pearls and lace details, so festive. 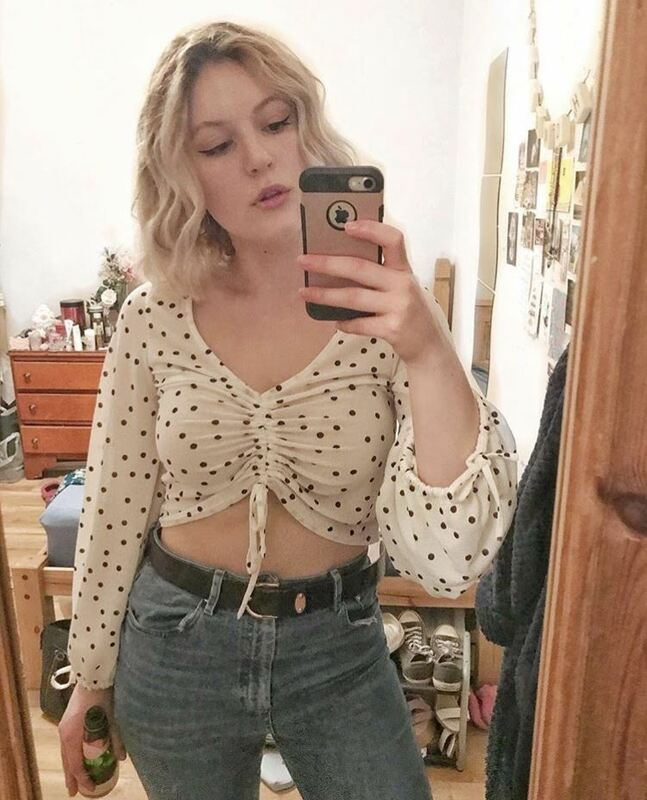 This is such a nice look. The lace makes it really delicate and the colours combo so festive! 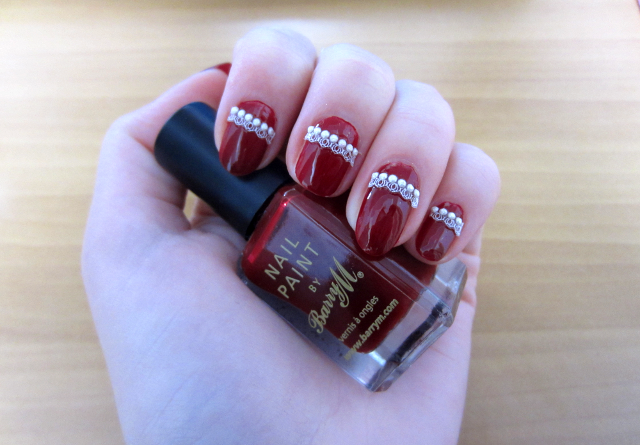 I love dark nails with glitters on top or classic red nails for the holiday seaons. This is such a lovely combination!! Wow! All the colors are amazing. Happy Holidays.